In order to make the teeth as white as pearls, there are so many teeth whitening products available in the market. But who knows the darker reality behind the making of these products? There are various risks that are attached with the use of these gels and no one knows about it. Recent research has brought out several facts about these teeth whitening gels. The greatest of them all is that such strips contain quantities of hydrogen peroxide in large amounts, which could lead to the damaging of the Dentin, which is considered to be the layer just above the teeth. This part is sensitive to the use of these chemicals, leading to its complete corrosion. How does erosion take place? The gels usually contain a lot of harmful chemicals apart from hydrogen peroxide, but being the main content, its effect is much more prioritized. In some of the extreme cases, patients have complained about the erosion of the enamel as well. This usually doesn’t happen over a week’s time but with continuous using it, the results are bound to take place. 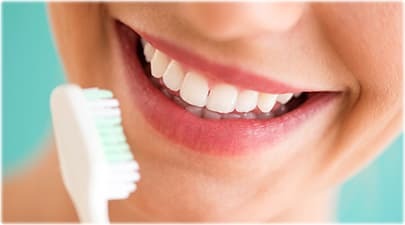 In the annual meeting conducted by the American Society of Biochemistry and Molecular Biology, the researchers focused on the fact that the dentin was much more eroded in comparison to the enamel. The dentin is one of the most sensitive parts of the teeth and in extreme cases, one needs to take up surgical procedures to cure it completely. How do the teeth whitening gel work? It is usually suggested after several types of research, that customers tend to use more of the teeth whitening gel, thinking that the more, the better. But in reality, the collagen of the tissues of the teeth also gets damaged, thereby blocking the flow of protein to all parts of the teeth.